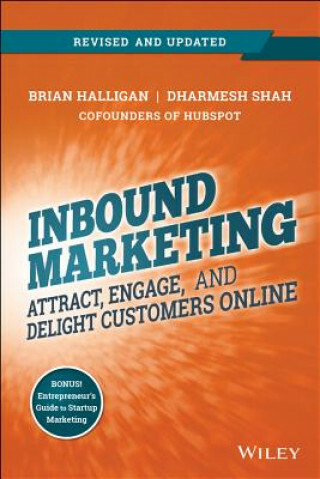 Attract, engage, and delight customers online Inbound Marketing: Get Found Using Google, Social Media, and Blogs is a comprehensive guide to increasing online visibility and engagement. Written by top marketing and startup bloggers, the book contains the latest information about customer behavior and preferred digital experiences. From the latest insights on lead nurturing and visual marketing to advice on producing remarkable content by building tools, readers will gain the information they need to transform their marketing online. With outbound marketing methods becoming less effective, the time to embrace inbound marketing is now. Cold calling, e-mail blasts, and direct mail are turning consumers off to an ever-greater extent, so consumers are increasingly doing research online to choose companies and products that meet their needs. Inbound Marketing recognizes these behavioral changes as opportunities, and explains how marketers can make the most of this shift online. This not only addresses turning strangers into website visitors, but explains how best to convert those visitors to leads, and to nurture those leads to the point of becoming delighted customers. Gain the insight that can increase marketing value with topics like: Inbound marketing - strategy, reputation, and tracking progress Visibility - getting found, and why content matters Converting customers - turning prospects into leads and leads into customers Better decisions - picking people, agencies, and campaigns The book also contains essential tools and resources that help build an effective marketing strategy, and tips for organizations of all sizes looking to build a reputation. When consumer behaviors change, marketing must change with them. Inbound Marketing: Get Found Using Google, Social Media, and Blogs is a complete guide to attracting, engaging, and delighting customers online.